Clip-arty is here to provide our customers with easily accessible clip-art images for use in your personal projects. We do not require you to buy credits in advance which will expire after so many months. Simply add the items you like to your cart, check out your purchases and download for immediate enjoyment. We are working on new items all the time but and can modify existing items if you have particular need for something we already provide but in a slightly different way. We can also create new items if required. If you would like a custom item then please get it touch so we can discuss your requirements with you. We have some plans for the new year and 2019 should see the introduction of some additional purchasable items using the traditional themes of our clip-art. Do please keep checking back to see what we have to offer. 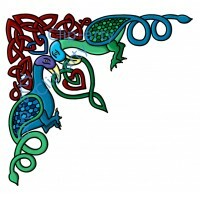 Celtic Corner 3 - Birds and Hearts. 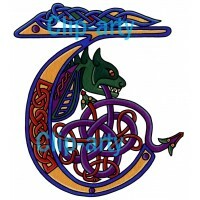 This original Celtic corner design has a bird theme w..
Whitevine Capital C - Blue. 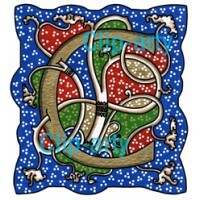 This is one of our full alphabet of Whitevine Illuminated cap..
Gothic Border 3. 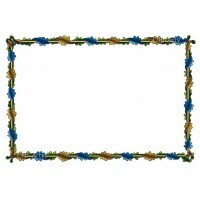 This illuminated Gothic style border is a beautiful way to frame any pro..
Gothic Capital M - Coloured. 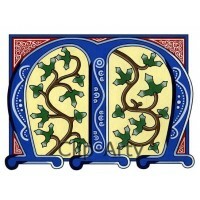 This original illuminated Gothic style c..
Celtic Capital T - Coloured. 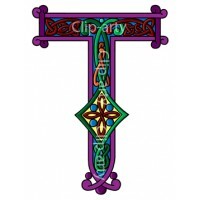 This original illuminated Celtic Capital letter is one of a ..
Celtic Capital T - (Version 3). 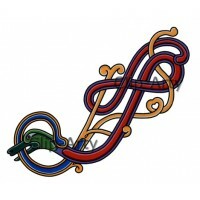 This is one of our original illuminated Celtic Capital letters..
Celtic Capital V - (Version 2). 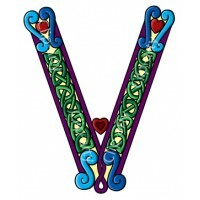 This is one of our original illuminated Celtic Capital letters..
A brand new version of the Celtic Capital V has been added today. Available as a line drawing or coloured and in 200dpi or 500dpi sizes. 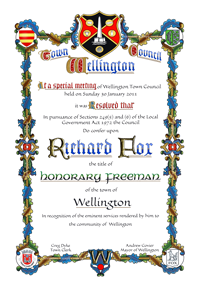 If you are looking for images to create an illuminated certificate for a presentation why not visit 'Presentations'. Our sister site can help you design a unique presentation certificate for you and prices start at just £19.99.